Order in the next 1 hour, 22 minutes an 34 seconds for same day shipping. SD Christmas Messages background. Designed by Sue Dix. Easy to align for precision stamping. Sticky back for direct mounting onto acrylic blocks. Can be used stored and reapplied many times. Size A6. 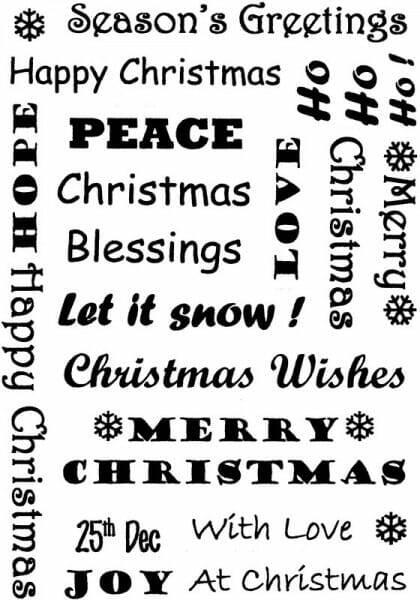 Customer evaluation for "Sue Dix - Christmas Messages background Clear Stamp"